Woodmen away at Coventry Sphinx this afternoon! Walsall Wood away at Coventry Sphinx this Bank Holiday afternoon! Walsall Wood away at Coventry Sphinx this afternoon! The Woodmen away at Coventry this afternoon – can they secure the points to save the season? Walsall Wood away to Coventry United this afternoon! Your chance to see Walsall Wood in away action at Coventry today! 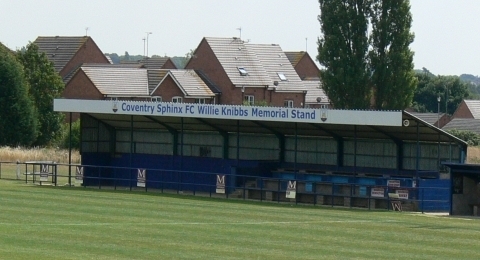 This afternoon, 10th January 2015: Walsall Wood FC away to Coventry Sphinx!